Aims: Toxoplasma gondii is a protozoan parasite and congenital transmission, abortion, and prenatal mortality are major problems of this parasite. This study was carried out to determine the seroprevalence of Toxoplasma infection in the pregnant women, referring to Khoy Public Hospital, Iran, during 2015–2017. Materials and Methods: In this descriptive cross-sectional study, 3 ml of venous blood were taken from 1060 pregnant women and centrifuged; the collected sera were kept in a freezer at -20°C until testing. 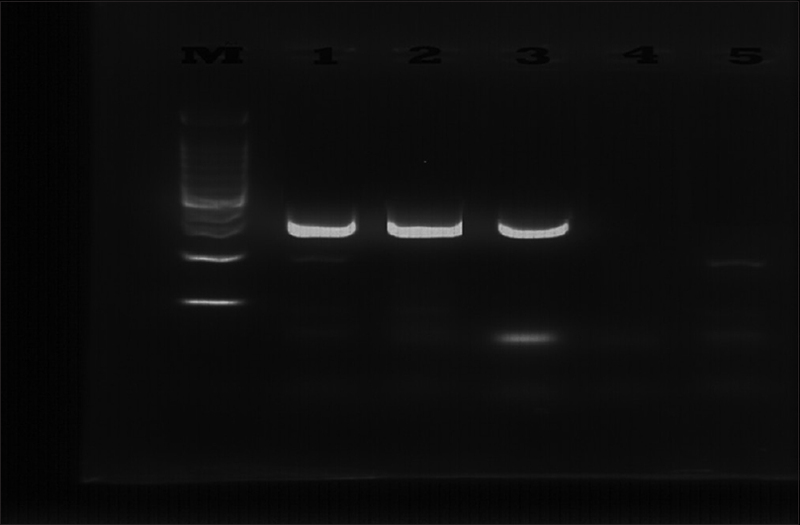 Then, samples were examined for the presence of IgG and IgM Toxoplasma antibodies using Autobio ELISA kit according to manufacturer's instructions. Data analysis was done using Chi-square test and SPSS-10 software. Results: Among 1060 serum samples of pregnant women, 38.2% were positive for anti-T. gondii antibodies. IgG and IgM titers of antibodies to T. gondii were positive in 36.6% and 1.2% of women, respectively. The incidence in women older than 30 years was 49.3%. The positive rate of IgG of pregnant women increased with age (P < 0.05). In women who were living in the village, the prevalence was 45.5% and in urban women, it was 21.5%; this difference was statistically significant (P < 0.05). Conclusion: The relatively high prevalence of T. gondii infection in this study showed that pregnant women infected with this parasite at an early age and it is important for pregnant women to prevent irreversible complications in neonates. Background and Objectives: Menopause, the beginning of a new era in the life of a woman, like all the other stages of life can create some problems, which threaten the women's health. 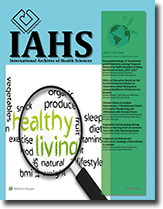 The aim of this study was to examine the effects of education on the awareness of female health volunteers about menopause in the city of Kashan based on the health promotion model in 2016. Materials and Methods: In this semi-experimental study, 280 female health volunteers in the cities of Kashan and Aran Bidgol were selected by simple random sampling in 2016. The health volunteers' knowledge of menopause was compared before and 6 months after the training. The theoretical framework used in this study was the structures of Pender's health promotion model. Data were collected through a questionnaire and analyzed using correlation tests and regression analysis with the SPSS software. Results: The results showed that the mean age of the participants was 30.05 ± 5.17 years (age range, 18–43). The mean score of knowledge before training was 7.6 ± 3.75 and after the intervention was 7.81 ± 6.4, which was increased. There was a significant difference between the mean scores of knowledge before and after the training (P < 0.001 and t = 33.5). The results showed a significant difference in the mean scores of the health promotion model before and after the training (P = 0.05). Conclusion: The results of the present study showed the positive impact of education based on the health promotion model on the knowledge of the volunteers about menopause. It is recommended that some training and research programs be performed to select the optimal training methods for volunteers, and strengthen their scientific knowledge and empower them. Given that the health volunteers have a close relationship with the community, training them can change the health behaviors, reduce the cost of healthcare, and improve the health status of the community. Aims: This study aimed to determine the attitudes toward alcohol abuse among students in Tehran and to develop and test a model of the relationships among parental monitoring and affiliation with deviant peers as they predict youth alcohol abuse. Materials and Methods: In this cross-sectional study, 1266 adolescents were recruited from high schools in Tehran and three scales of alcohol abuse, parental monitoring, and adolescent affiliation with deviant peers were completed for them. Data were analyzed using independent sample t-test, Pearson correlation coefficient, and structural equations modeling. Results: The results of this study indicated that 7.4% of individuals had a positive attitude toward alcohol abuse. The percentage of positive attitude among males was nearly 2 times more than females. The study model was confirmed and explained 0.42 of attitudes toward alcohol abuse variance. 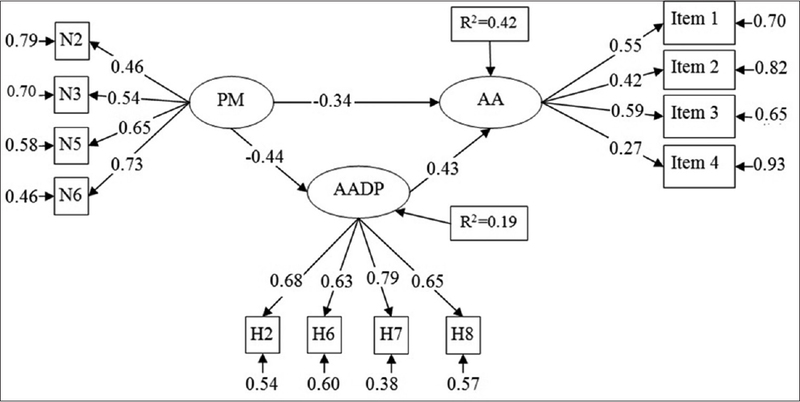 Moreover, affiliation with deviant peers had a mediating role in the relationship between Parental Monitoring and attitude toward alcohol abuse. Conclusion: According to the results, parental monitoring and affiliation with deviant peers could explain the alcohol abuse among adolescents. Therefore, it is suggested to include these factors in prevention programs aimed at reducing alcohol abuse. Background and Objectives: High prevalence of work-related musculoskeletal disorders, especially in jobs such as nursing which covers tasks like patients' repositioning, has attracted great attentions from occupational healthcare experts to necessitate the knowledge of ergonomic science. Therefore, this study was performed aiming at ergonomic relationship during work in nursing staff of Intensive Care Unit (ICU) with operating room. Materials and Methods: In this descriptive-analytical study (cohort), fifty personnel of ICU staff and fifty of operating room staff were selected through a census method and were assessed using tools such as Nordic questionnaire and Rapid Entire Body Assessment (REBA) standards in terms of body posture ergonomics. The obtained data were analyzed by SPSS software and Chi-Square test after collection. Results: The most complaints were from the operating room group (68%) and ICU staff (60%) for the lumbar musculoskeletal system. There was a significant relationship between the total REBA scores of body, legs, neck, arm, force status, load fitting with hands and static or dynamic activities in the operating room and ICU staff groups (P < 0.05). In operating room and ICU groups, most subjects obtained score 11–15 and very high-risk level. Conclusion: Nurses working at operating room and ICU ward are subjected to high-risk levels and occupational injuries which is dramatically resulted from inappropriate body posture or particular conditions of their works. As a result, taking corrective actions along with planning and identifying ways will help prohibiting the prevalence of disorders in the future. Aims: Brucellosis is one of the important infectious factors in most areas of Iran and other developing countries. Brucellosis has different clinical manifestations and should be considered in the differential diagnosis of infectious and noninfectious diseases. The aims of this study was to determine the epidemiological, clinical findings of the brucellosis in patients based on blood culture and serological tests. Materials and Methods: In this cross-sectional study, 190 brucellosis patients admitted in Isfahan Hospital in 2016–2017 that were studied based on positive immunological tests such as Wright, 2-mercaptoethanol (2ME), and enzyme-linked immunosorbent assay. Samples of blood were cultured (BACTEC) and incubated at 37°C for 5 days and then on Brucella agar. In addition, clinical and laboratory characteristics of brucellosis were done. The patients who had brucellosis (Coombs test ≥1/80 and 2ME ≥1/40) were selected. Data were analyzed using SPSS statistical package. Results: About 62.5% of patients were female with mean age of 37.5% years. 54.8% of cases were living in urban and 45.2% in rural areas. The most contagious seasons were spring. The most common transmission way was consuming of contaminated dairy products (59.3%); however, some of the patients had a history of animal contacts. The most common symptoms were fever (65.2%), arthralgia (68.1%), sweating (32%), malaise and fatigue (37.2%). The most common clinical signs were fever and peripheral arthritis. High leukocytosis and elevated erythrocyte sedimentation rate (>20 mm/h) were reported in all of the cases. Elevated C-reactive protein was detected in 72.1% of patients. Conclusion: Brucellosis should be considered in the differential diagnosis of patients with prolonged fever, spondylitis, or peripheral arthritis in endemic areas.